Through an exhibition of video, sculptural and sound works installed in the Powerhouse’s Upper Turbine Gallery 19th April-5th May, and a Symposium on Tuesday 1st May, this event explores how contemporary art and archival practices experiment with time and reimagine reality. Our experience of time is changing rapidly in the Network Ages, as technologies enable space to be crossed at phenomenal speeds, by bodies, images and information. While this exposes us to new stimuli, it also fragments our attention span and compresses our lives, altering memory and history. The artists featured in The Habitat of Time explore the forces and forms that sculpt time today, through technology, culture and nature. Their experiments with media and materials, archives and perception pollinate the Powerhouse’s industrial architecture, inviting us to consider time embedded in landscape, manmade and organic forms, systems of communication and our imaginary. Since the 18th Century, scientists have used the term habitat to describe how the settings in which flora and fauna live change over time. 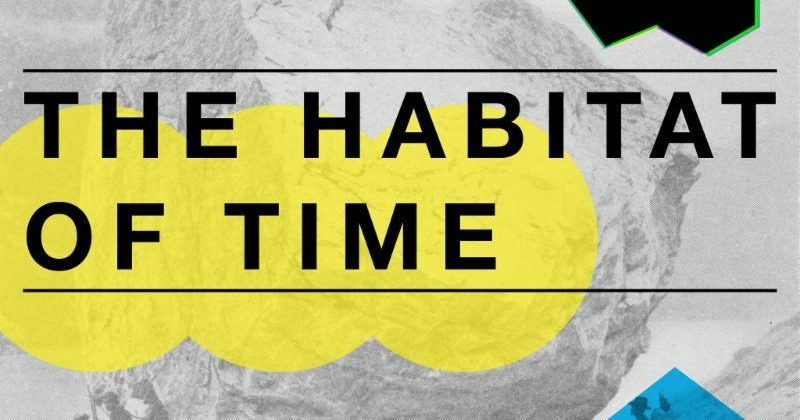 The Habitat of Time Symposium asks, what happens if we switch the focus and envisage time itself as a habitat? Speakers highlight indigenous, ecological, aesthetic and political perspectives on time, drawing on their wide-ranging experiences of art making, curating and archives in Australia and overseas. Curated by Dr. Julie Louise Bacon.